We had some beautiful Fall rain this past weekend and we were so excited to see California getting some rain that we stayed in all weekend and soaked up our temporary Fall weather. Being inside with little ones all weekend meant we needed a few family projects. 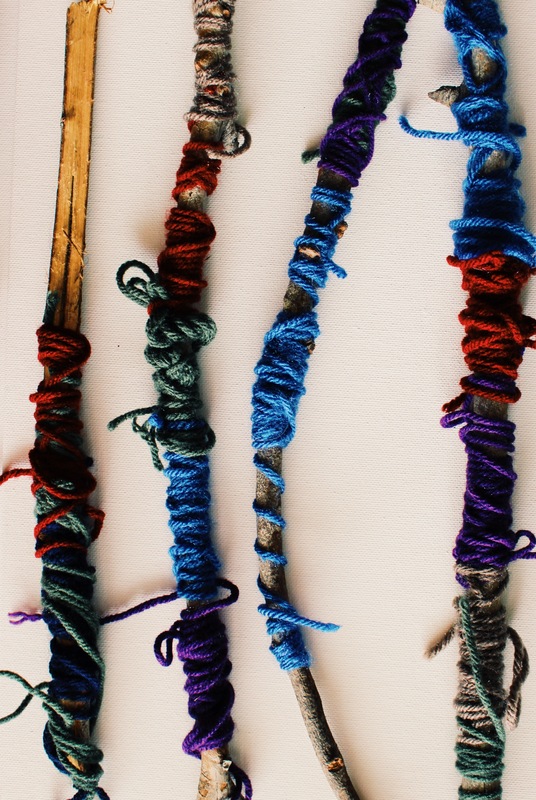 We decided to make some simple yarn crafts with the yarn I had in my craft room. 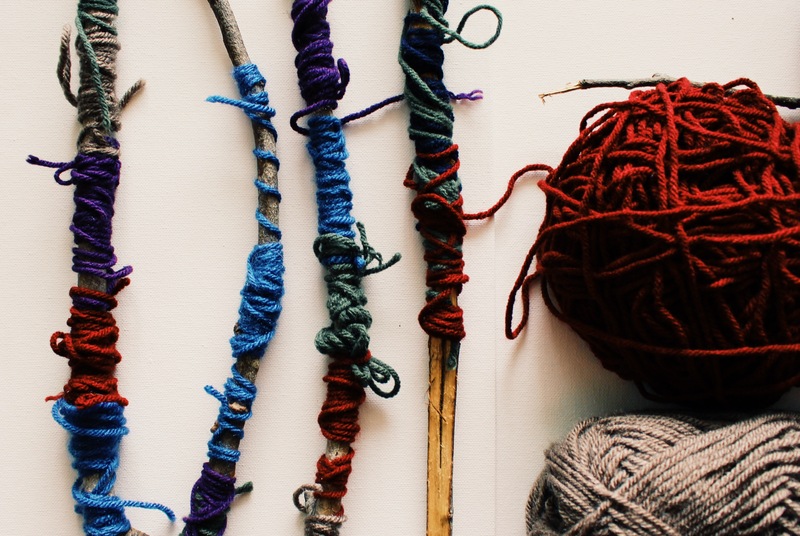 We used the yarn to make stick art with some sticks we’d found at the park last week. We also did quite a few watercolor paintings this weekend of pumpkins and pumpkin patches. I am sharing a few of mine this month with free printables under the freebies tab. I think these would look really cute framed for the Thanksgiving season! 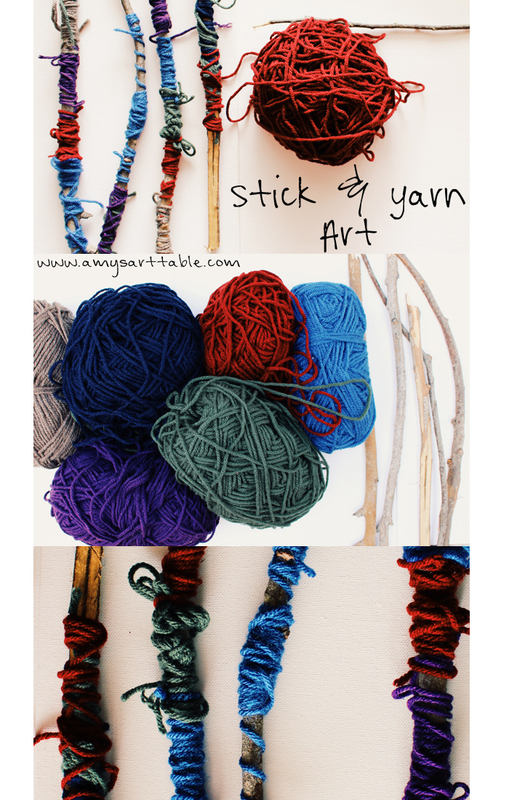 Making our yarn crafts with sticks was really simple and easy. My kind of project. We made ours with our neighbors kids who stopped by for a little while. The pictures are the stick art created by my kids and the neighbors kids who are ages 6,5,5 and 3. 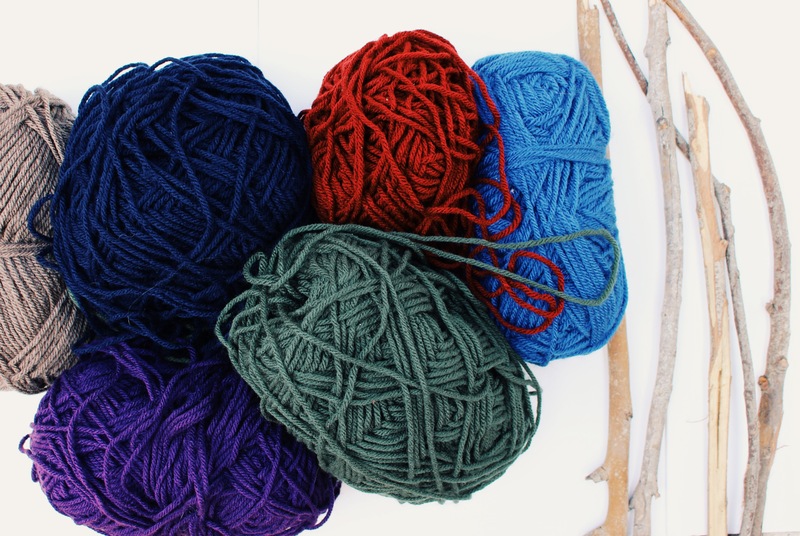 All of them had a great time picking their yarn colors and wrapping pattern. After we finished all of the wrapping we decorated our mantle with our stick art but they would look great in a vase or connected together as a hanging decor item. 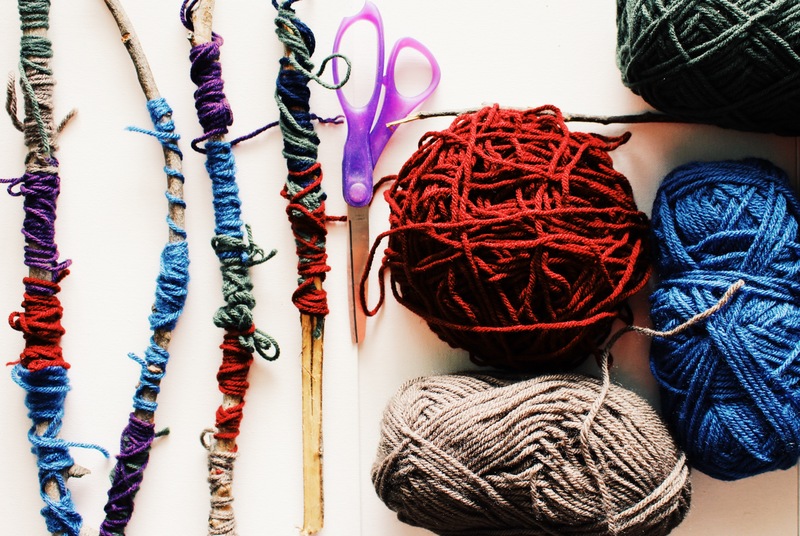 I love these type of open-ended art projects the kids can make their own. 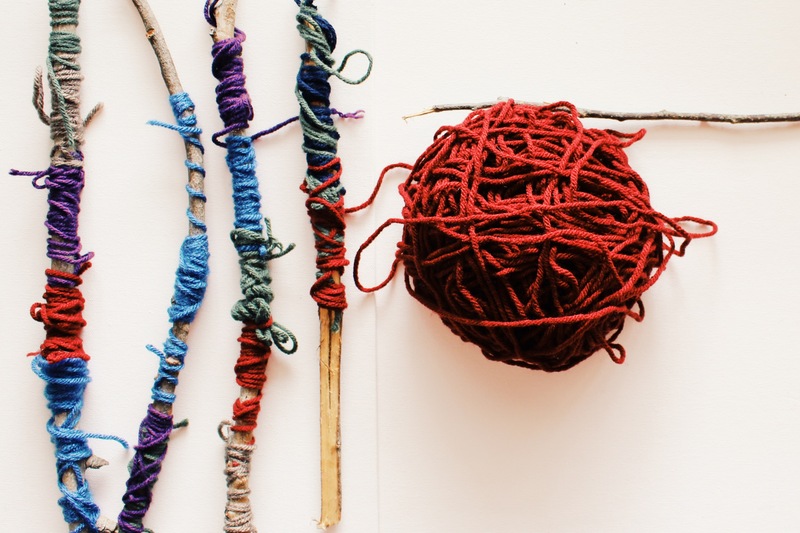 Little to no direction is needed to make this cute Fall stick art and that helps the kids imagine, design and wander through ideas of what their art could look like and become. For more rainy day ideas, check out my new watercolor art lesson series. The videos I’ve created are easy and require minimal supplies. They are also open-ended to duplicate the educational component of what I think makes a great kids art project. Great for a weekend at home with the kiddos!